I have now been watching the Oscars, consecutively, for the last fourteen years. I love it. Even when I end up screaming at the television and throwing chairs around the room, I love the experience. Oscar night is like the Super Bowl, the World Series and Christmas all rolled into one night. However, if there’s one thing I enjoy more than watching the biggest awards of the year, it’s choosing my own. I’ve been picking my own personal nominees and winners since before I can remember. Obviously, these particular honors don’t get as much attention as the actual Academy Awards, but they’ve always been amusing to me. Now, my awards not only get a home, but a name, as well. 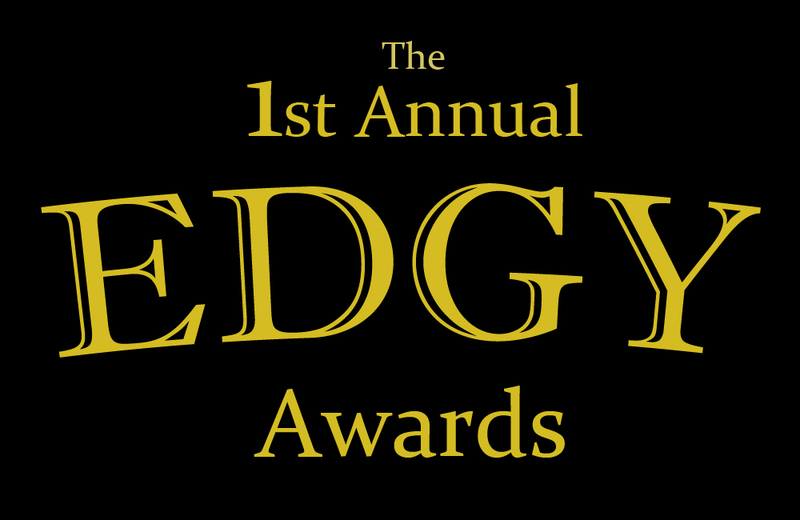 Welcome to the 1st Annual Edgy Award Nominations. They include all of the usual categories that the AMPAS offer. The final presentation will also contain a few other awards that tickle my fancy. Below, the nominees are listed in alphabetical order, not preferential. Expect my decision on the final winners some time next week. Hope that everyone enjoys them. NOTE: Even though these are the first “published” Edgy Awards, I do have a solid, written record of them going back to 1940. Therefore, I’ve included a feature of noting how many nominations and wins that each individual has received from me in the past. This gives some extra input as to my own tastes in the nominees, how they’ve surprised me or continue to impress me. The connotations refer, however to how many mentions each person has had in each individual category, aside from all the acting categories included together. Once again, enjoy!